As part of my passion for beauty I also love having beauty and spa treatments especially facials and pedicures. So when I found out at a recent Victoria Square beauty brunch event that the Estée Lauder Counter in House of Fraser, Victoria Square, Belfast had v recently started to offer luxury Re-Nutriv anti-ageing Facials, the cost of which could then be fully redeemed on their skincare range I could not resist and booked a facial for myself as this sounded too good an opportunity to miss. The facial treatment costs £50 at time of booking which is then fully refundable on any Estée Lauder skin care after your facial. Cannot think of a better way to get a treatment as essentially you are getting your facial for free. The luxury Re-Nutriv facial is currently only offered / available in 3 stores within UK / Ireland; House of Fraser (HoF), Victoria Square, Belfast, Brown Thomas, Limerick and Harrods, London. Fantastic we now have the opportunity to avail of this luxury treatment here locally in Northern Ireland. 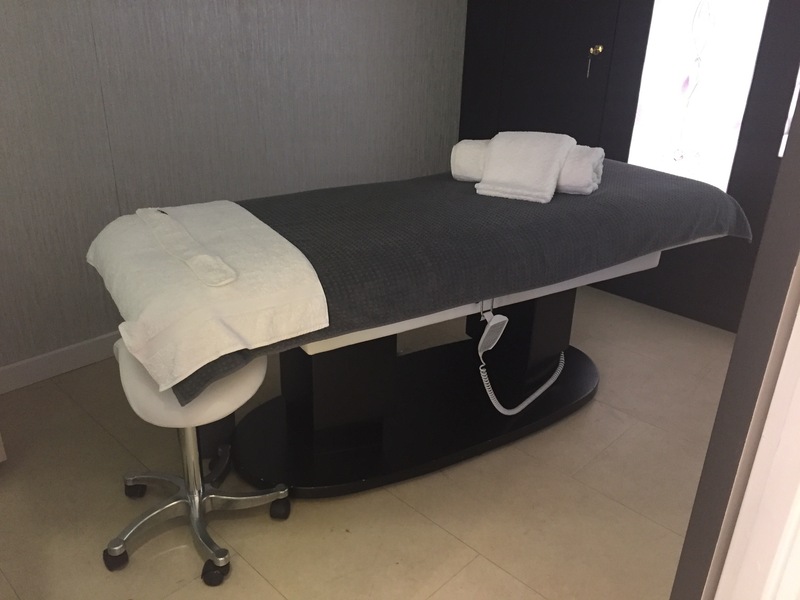 I had my facial during the week and Sinéad was my therapist – currently there are two therapists on counter at HoF Belfast trained to carry out this treatment. 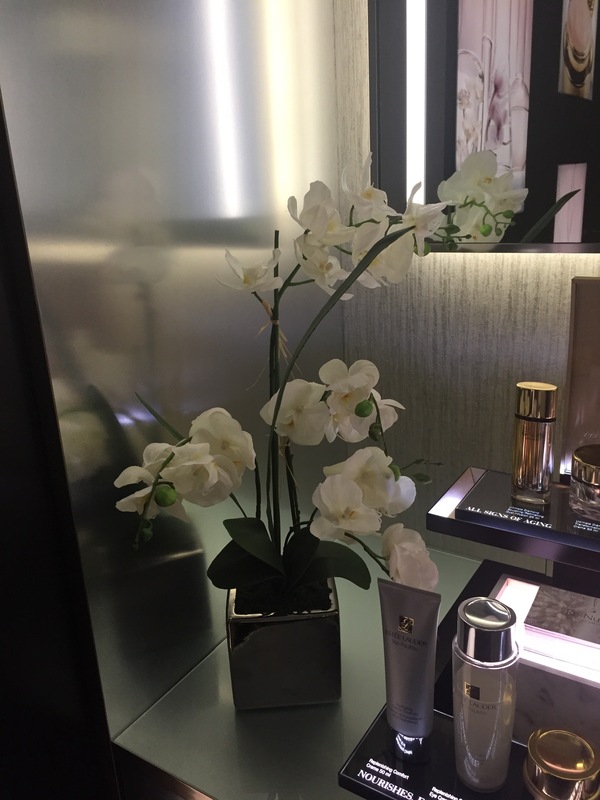 As advised before the facial costs £50 which you need to pay at time of booking (you can book over the telephone or at the counter) and then when you arrive at the Estée Lauder Counter in Belfast your therapist will take you to the treatment room at the back of the store. Once I had taken in the beautiful surroundings and Sinéad my therapist had explained all about the facial advising that as well as my face she would also be working on my neck, top of my décolletage, shoulder areas (which is the same as the majority facials I have had), she left me for few minutes to enable me to get ready for this beautiful pampering experience (door is also lockable for your privacy when you are getting ready). After I got comfortable on the bed, Sinéad came in, made sure I was warm enough and then started my facial by removing my makeup, using luxury Re-Nutriv products (Please see link here for more information on the Re-Nutriv range of products) & warm & cool towels at specific stages of my treatment. Throughout each stage of the treatment Sinéad used beautiful massage techniques which felt like a light work out for my face (not uncomfortable at all just relaxing – working on the lymphatic drainage system) which ensures your skin is getting the full benefits from your facial and all the products applied during it. When my indulgent Ultimate Diamond Mask Noir and Advanced Night Repair Concentrated Recovery Eye Masks (taken from the fridge) were applied, Sinéad then give me a gorgeous hand and arm massage while the masks were ‘working’. Once the masks had sufficient time to work, Sinéad then removed them and applied my finishing Re-Nutrive skin care products. After the facial was over (facial takes approximately 1 hour but allow yourself at least 1 hour 30 minutes for the full experience). I was given time to relax while Sinéad discussed my treatment and the products she had used for my facial, their specific skincare benefits and then also explained about a current FREE GIFT offer they have available (while stocks last) – currently when you spend £100 on any of the Re-Nutriv products you get a beautiful FREE GIFT containing a number of deluxe samples from the Re-Nutriv range which come in a beautiful zipped cosmetic purse (full details below). This is a great way to sample the range and means when you redeem the £50 for the facial you only need to pay another £50 to enable you to get the free gift. 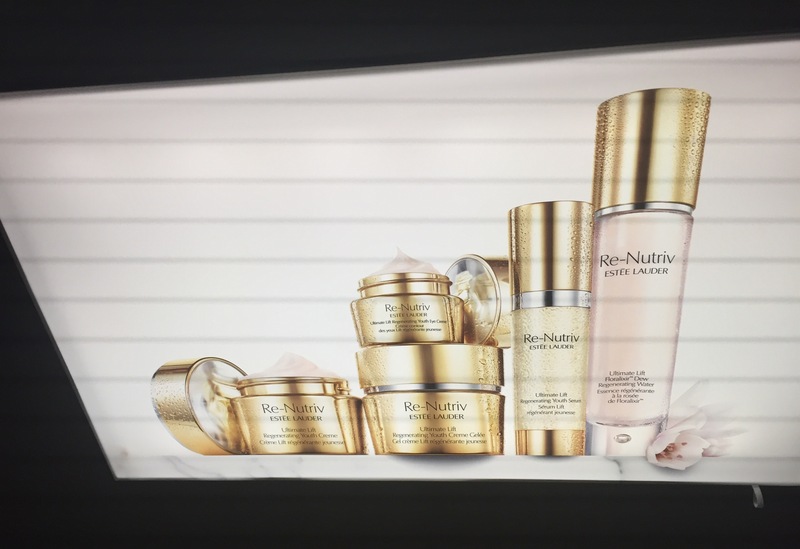 I personally think this is the perfect way to try the Re-Nutriv range as it is a luxury range and with the samples being deluxe size you are able to test the products properly to see if you really like them prior to purchasing. Sinéad then left the room to give me time to get ready, advising as normal with any facial to leave skin free from any makeup / products for the rest of the day. However could not resist and told her I was going to apply just a little bit of eyeliner, mascara and lip balm three of my essential make up items, feel naked without. Once I was ready I then went out to the counter where Sinéad had my products and FREE GIFT ready (could not resist as such a good offer). I purchased the Advanced Night Repair Concentrated Recovery Eye Masks RRP £36 (had heard so much about these so was happy Sinead used these as part of my facial and I will do a full review when get a chance to try properly four in box and you are advised to use once a week) and Re-Nutriv Hand Treatment (I know this a v expensive product for a hand treatment but if it does all it says it does it may be worth it and it does feel so softening on the hands and you need a very small amount) I then received the following FREE gift (this gift is available while stocks last and you may receive a slightly different one, just check with your therapist prior to purchasing your products). 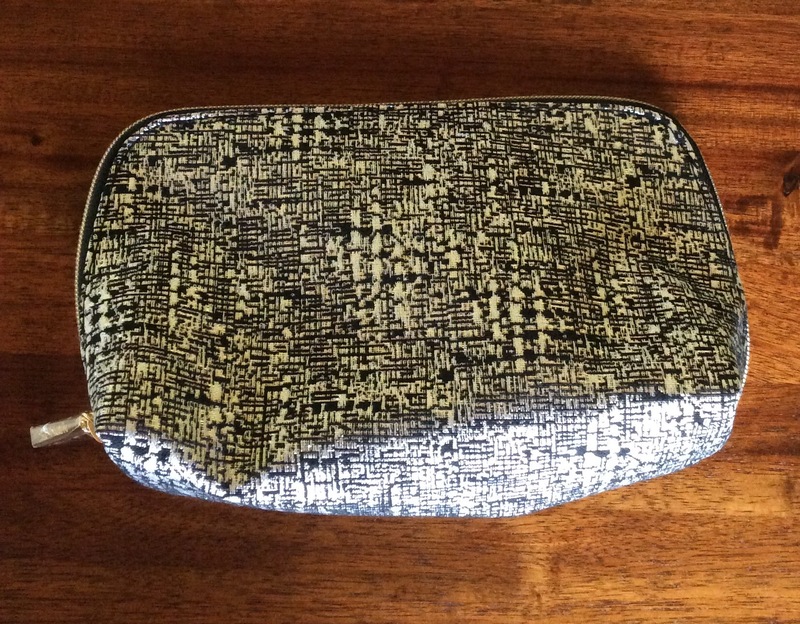 The products also came presented in a beautiful Black and Silver patterned gold tone zipped Cosmetic Pouch. 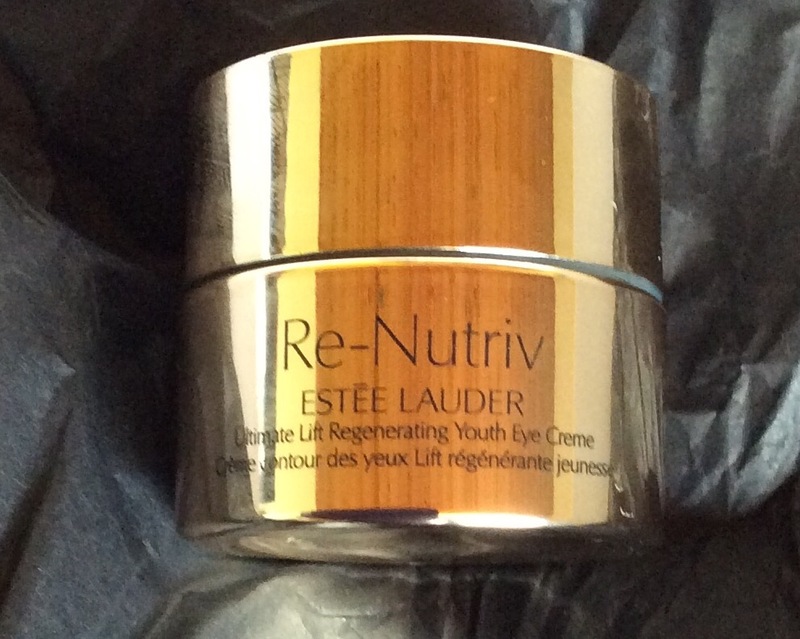 Although your therapist may helpfully recommend products based on your skin concerns there is absolutely no requirement to purchase above the £50 facial fee, it is totally down to you what / how much skin care you purchase there is no pressure put on you by the therapist/Estee Lauder staff to purchase more. I have to say I enjoyed every single bit of the treatment (skin care fragrance not over powering either) and it surpassed my expectations. My skin felt amazing, fresh, rejuvenated, hydrated smooth and looked glowing even without makeup and yesterday and today I think my skin looks even better, have had no breakouts yet either. 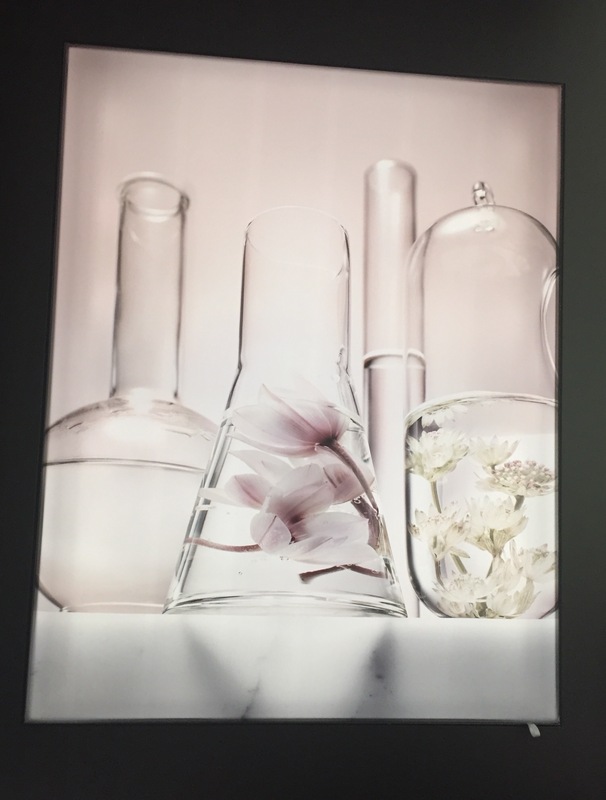 I have had a number of facials in the past and have also enjoyed the majority of them but this was the v first one I felt that my skin was actually getting a gentle workout as well as being pampered which when you think about it should always be the case to ensure that your skin is able to benefit fully from all the products that are being applied. Sinéad’s touch and pressure was perfect, felt she was v experienced and knew exactly what she was doing throughout. It was a full facial experience, not a token one as some people may expect when they hear that the total cost of the facial can be fully redeemed on skin care products. 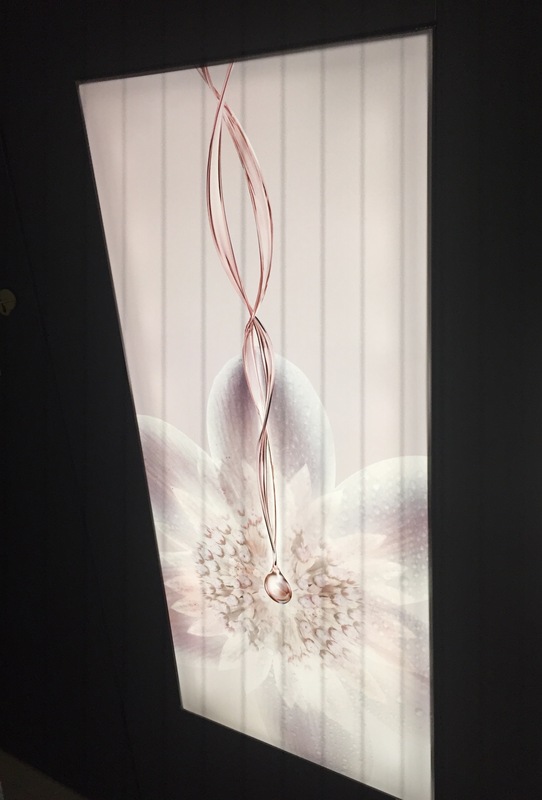 The treatment room itself is also perfect and although you are in the store when you are getting the treatment you are transported to a relaxing spa facility. The only time you realise that you are in a department store is from time to time during the treatment you might hear slight noises coming from the shopping area but I did not find this disturbed my enjoyment of the treatment as the relaxing music helped to phase this out. 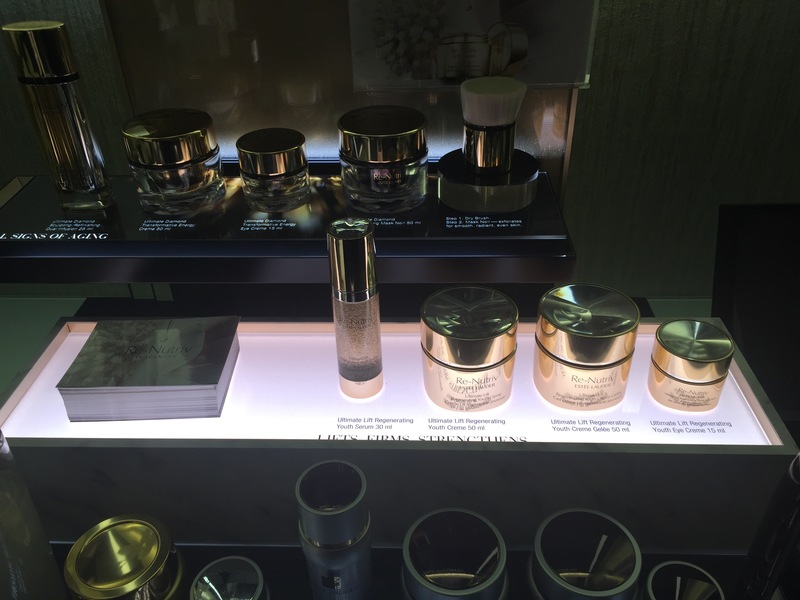 I personally found that Sinéad, Janice the Estée Lauder Manager and all the staff are very friendly, professional but approachable, helpful without being pushy and also provide excellent customer service which is one of the main things I look for as well. I have already booked my second Re-Nutriv facial as I enjoyed this treatment so much and being able to redeem the full cost on skin care products is a fantastic bonus. You can book in for the Re-Nutriv facial once a month, every two months or how often as you want and then continue to redeem your £50 fee against skincare products. This anti-aging facial is probably more beneficial from mid twenties onwards but this is down to each individual, what their/your particular concerns are. 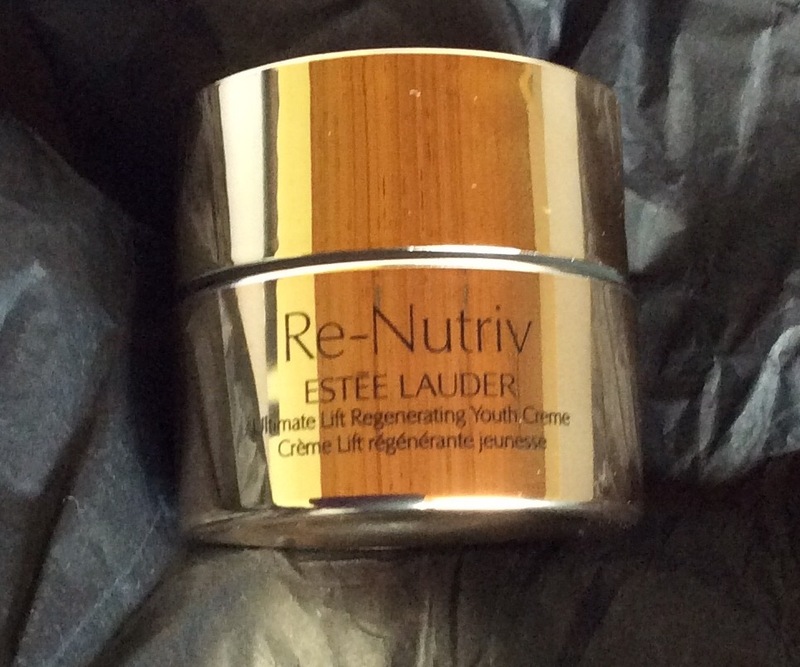 I would highly recommend ringing to speak to a therapist on the counter (02890883720 for the Belfast store) or by calling into the Estée Lauder counter to get even more details or to book a facial as a treat for yourself or as a gift (anyone who received this as a gift would be delighted because as well as receiving a facial they then can redeem £50 on skin care products so essentially getting two great presents). Hope you found this helpful, post longer than usual as did not want to leave any key details out as I personally love hearing about the full experience, offers available, although I understand may be a bit too much detail for some people. I would love to know if you have heard of the Re-Nutriv facial, or if had one, what you thought of it – did you enjoy it as much as me? I would also love to know if you intend to book one or if/when you do what you think of it? Thank you – take care and hope you have a lovely weekend. Oh wow, I very much enjoyed reading this post and find it informative rather than long. I am not near a store but I have always liked Estée Lauder especially the Christmas bundle of makeup. I do believe that facials are beneficial particularly if you look after your skin at home. 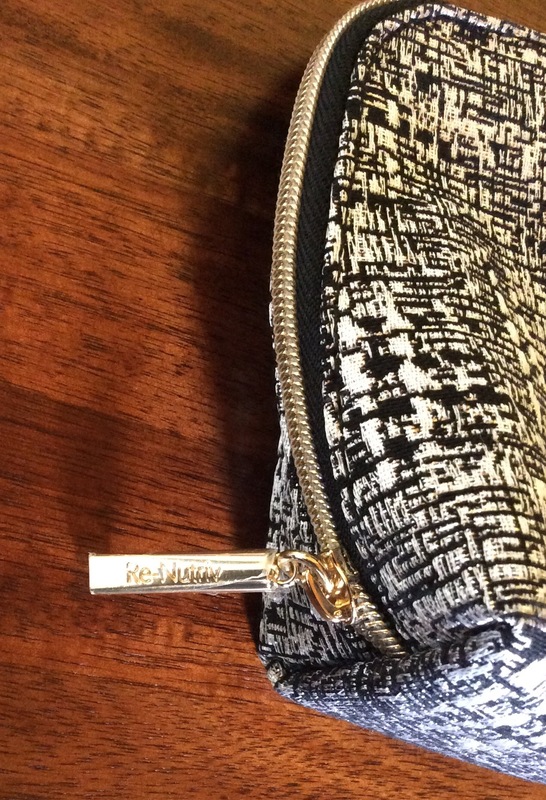 The free gift you got looks wonderful and pure luxury. Estée Lauder also do great deals online with lots of special offers so that one can build up a collection without it costing too much. It was a great post so thank you.